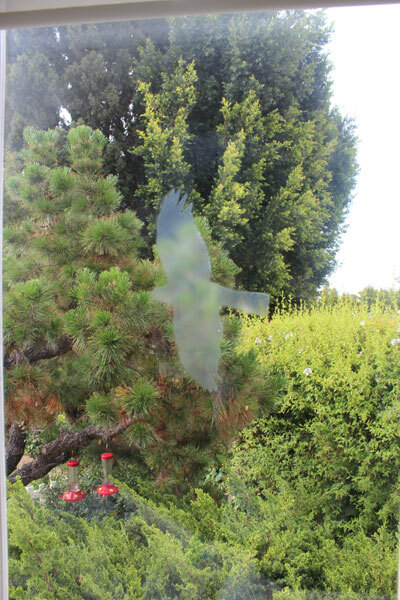 If you want to attract birds to your yard or window, then feeding them will help. 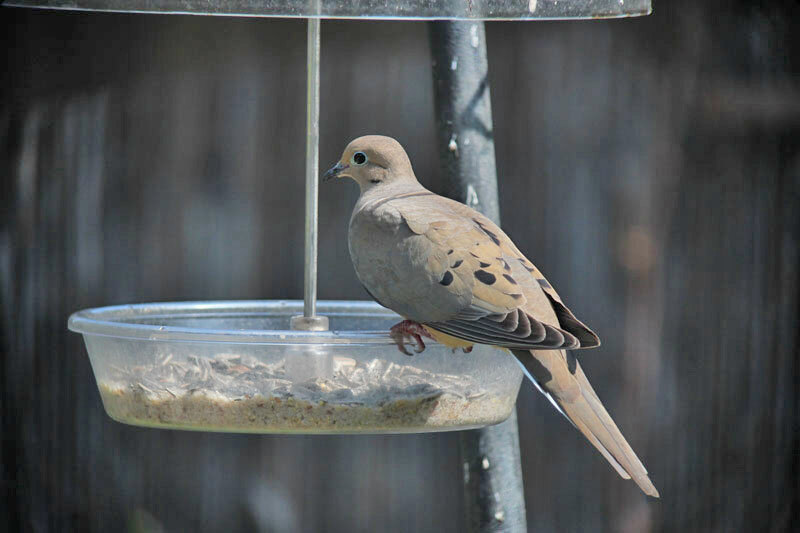 Many places sell bird seed and bird feeders, but even scattering seed on the ground will attract some species. 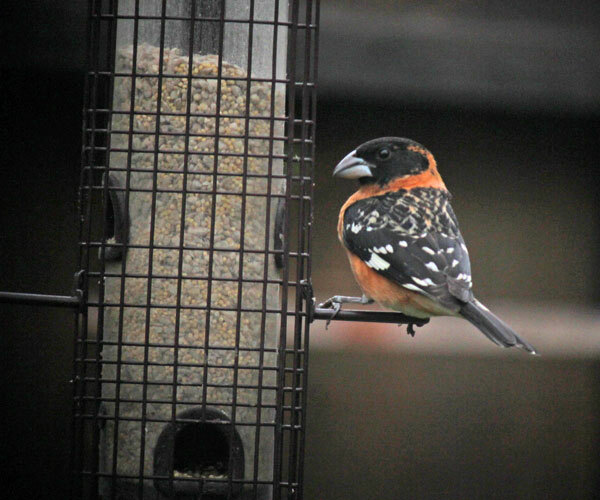 Black-oil sunflower seed is one of the best choices because it is eaten by so many different birds: cardinals, jays, chickadees, finches, even woodpeckers and Grosbeaks. Seed mixes that include hemp, millet, thistle (Nyger) seed, or cracked corn also work. 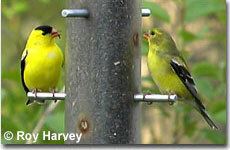 Bird feeders come in many shapes and sizes but it's best to start simply. 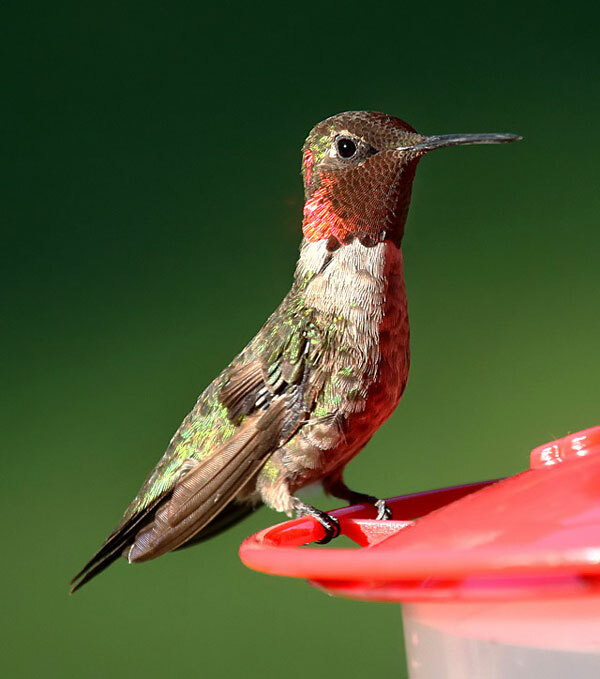 Birds will come to a platform or window shelf, but a tube feeder or hopper feeder like the one below need to be replenished less often. 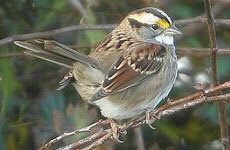 During winter you can place lumps of suet in a wire container outside. 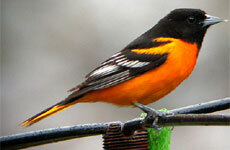 It will attract chickadees, nuthatches, and woodpeckers. Try replacing the suet with a sandwich made with peanut butter, especially during warmer months. When they find it, your birds will come back to it. Birds need drinking and bathing water just as much as they need food. Birds are attracted to the sound of running water. They are attracted to moving, shallow water. 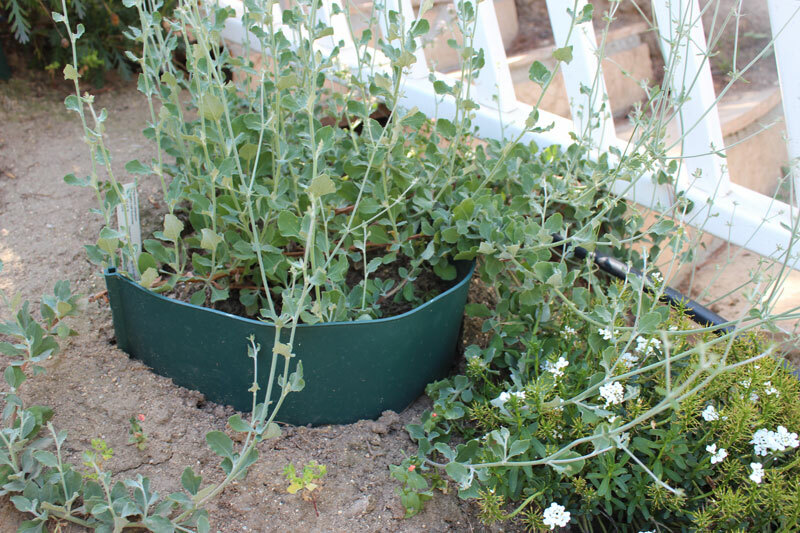 A dripping hose or a trickle of water running into a one-inch pan with gravel on the bottom is excellent. An old bucket with a triangular piece of cloth pulled through a drip hole and hung over an old baking pan will do as well as an elaborate pool. 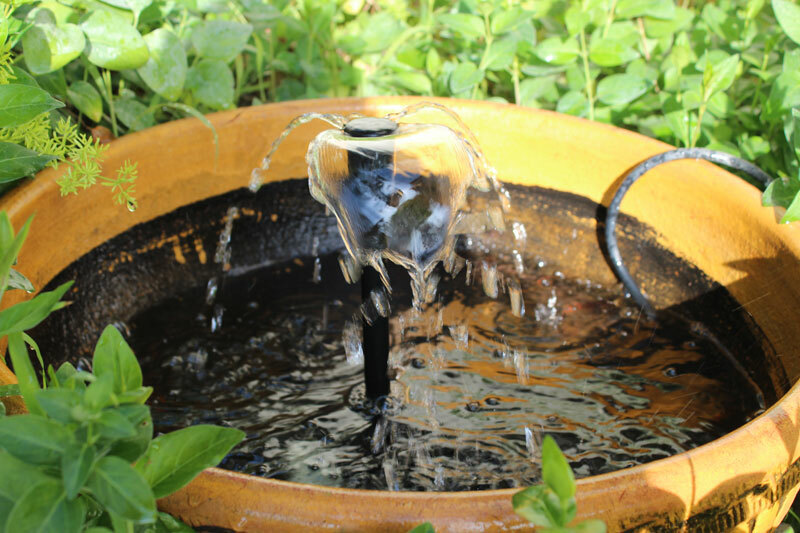 Another cheap alternative is to buy an electric fountain motor from a hardware store such as Home Depot and put it in an a large plant pot with some rocks at the bottom. Birds need cover for protection against wind, cold, and predators. The best kind of cover is shrubs trees that provide food as well as a place to hide. Make sure that there is some place to hide near your bird feeders. 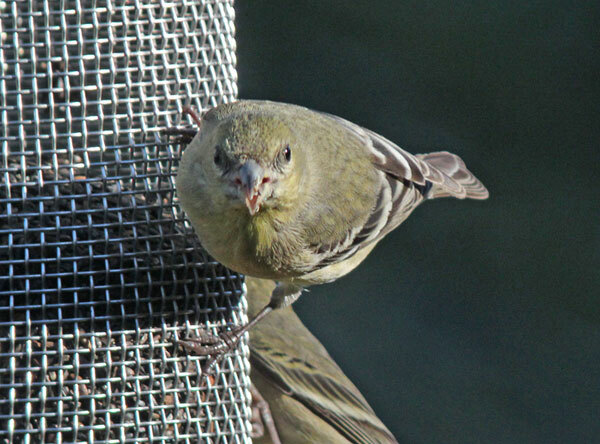 Predators are sometimes attracted to the commotion at a feeder and your birds will need a safe place to fly to. 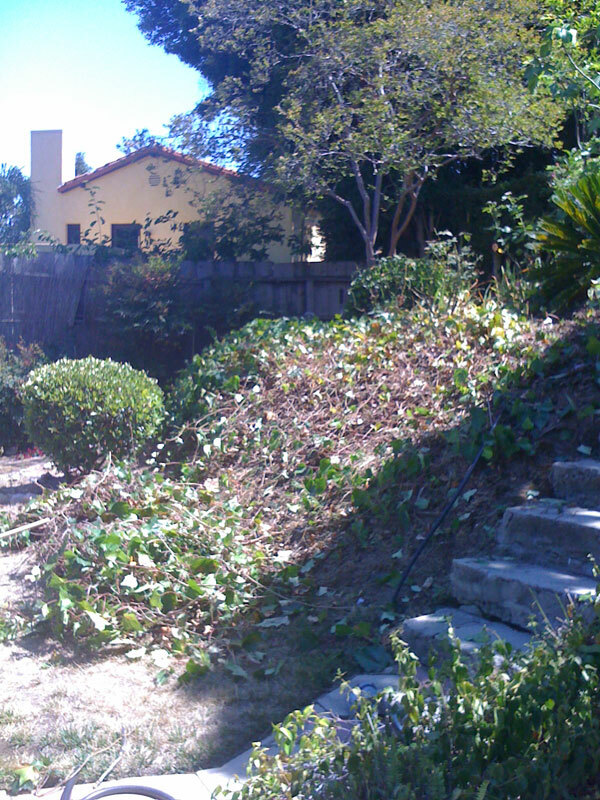 In the example below, a yard with a thick bank of Ivy is cleared in order to make room for flowering shrubs and tree saplings to create more diversity, food for hummingbirds and shelter. 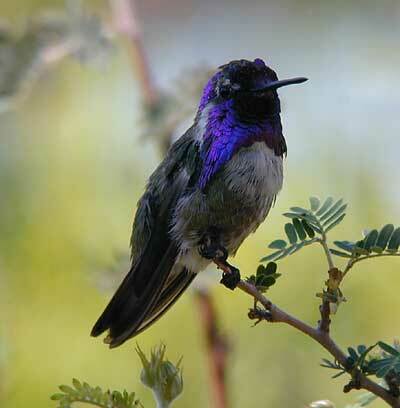 Plants for birds can be added to any garden. 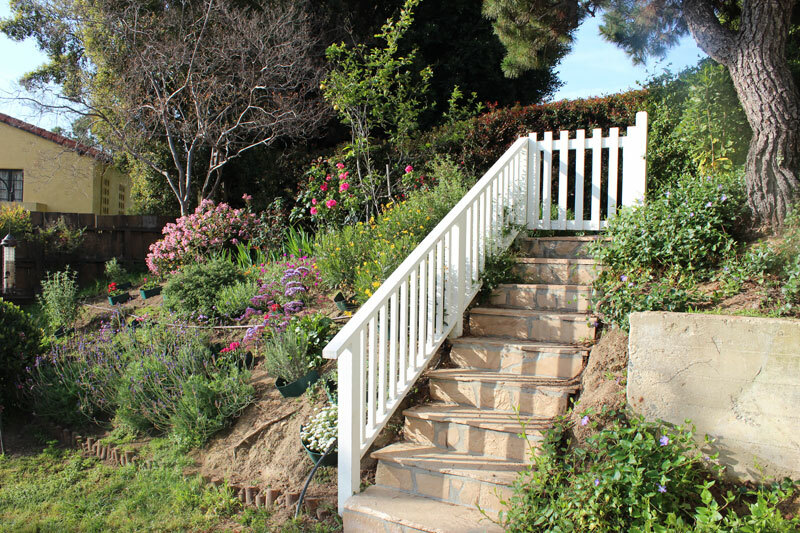 These include shrubs, such as sumac and boxwood, and small trees, such as holly or dogwood. Shrubs and trees that produce berries or fruits, such as cherry, crab apple, or hawthorn, are also good, but native plants that retain their fruit in winter are best. Evergreens may be planted for shelter. Annual flowers such as sunflower, marigold, and zinnia produce seed that attract birds, as do perennials such as aster and black-eyed Susan. 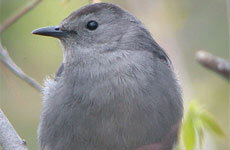 Some birds will take advantage of a nesting box or bird house made by humans. But different boxes will attract different species. For example, a box made for a wren is very different from one made for a flicker. Bird houses and plans for bird houses come in hundreds of different sizes and types. 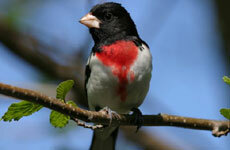 When you have become familiar with the birds in your area, you can choose the right one for those species. Build or buy a box that can be used year after year. Don't place boxes too close together; three or four nesting boxes to an acre are usually enough. Most birds set up their own territory and will keep other birds away.